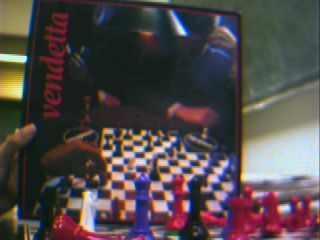 In the early 1990s, my parents gave me on my birthday a set of this game Vendetta, a chess variant for four players. They bought it at a sale-out. 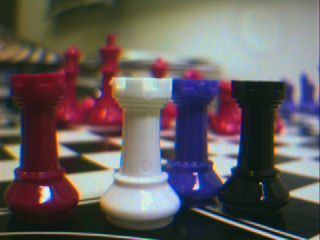 The game is not very original - very similar games exist already since 1784 (see the description of four handed chess). 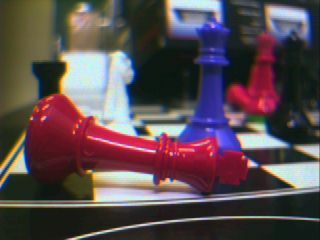 The pieces, colored white, black, blue and red are hollow and should be filled with sand - green caps to put under the pieces after they are filled were also in the set, as was an hourglass. 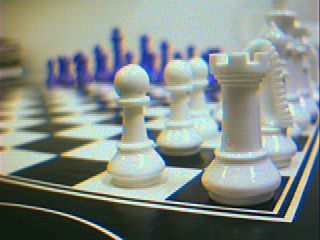 At the backside of the board, a normal chess board is printed. 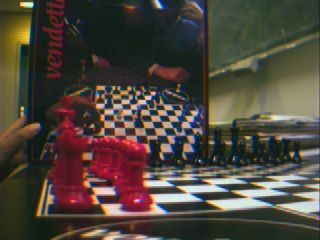 The box tells that the game is copyrighted J. Deak, Ewing, N.J. 08638, U.S.A. U.S.A. patent No: 4,778,87. Made in Holland. Marketed By: Bonne Nuit, Inc. 743 Alexander Road Princeton, N.J. 08540 U.S.A. Tele: 609-987-1269, Fax: 609-520-1350. 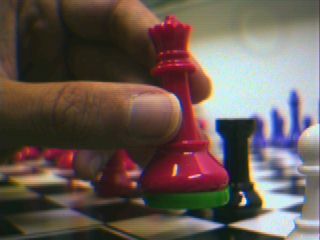 It is not clear whether the patent applies to the idea of hollow chess pieces to be filled with sand, or to the idea to play four-handed chess on this type of board. In the latter case, I think that there is no reason for a patent: looking in the Encyclopedia of Chess Variants, one sees almost identical games that are older. WWW page and photo's made by Hans Bodlaender. Vendetta. 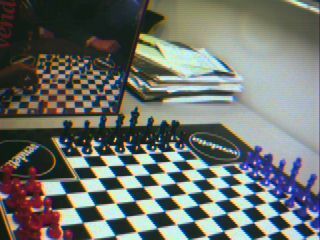 Commercial four-player chess variant.